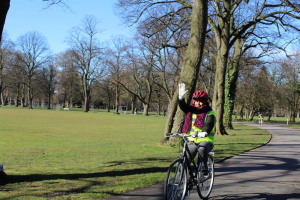 Help us improve the wellbeing of local people and place. 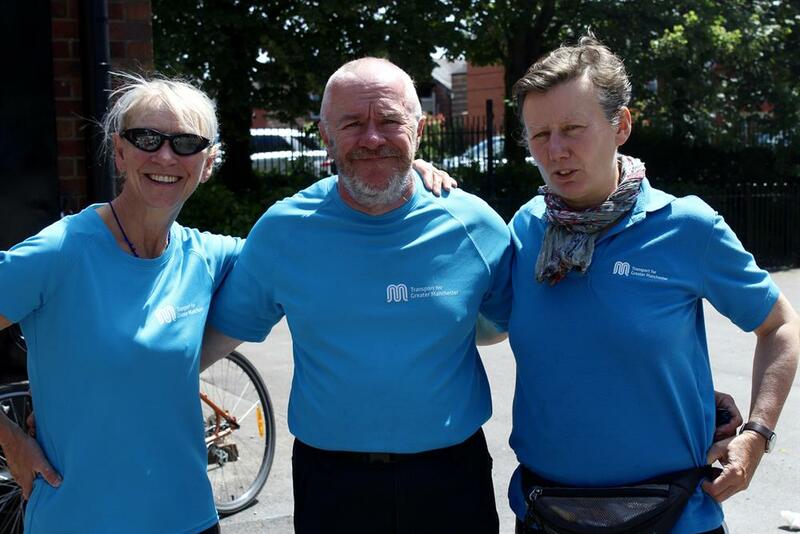 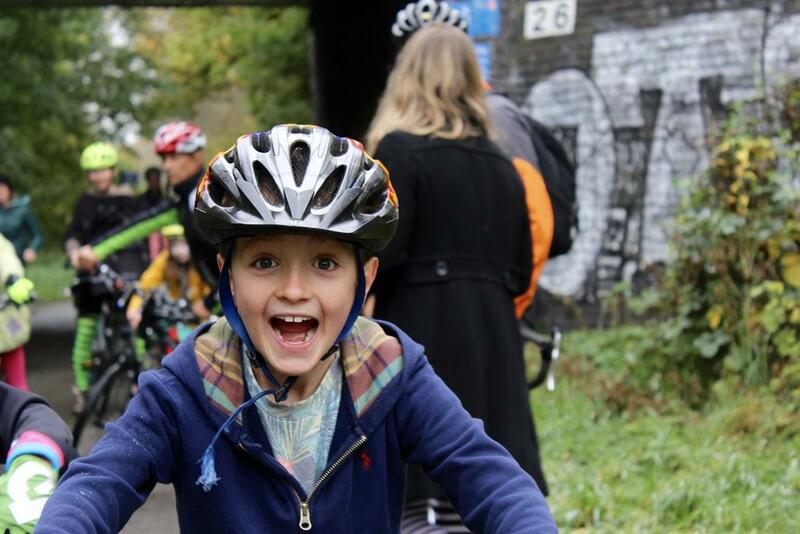 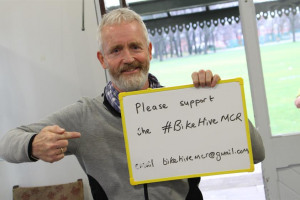 Help us keep Bike Hive MCR healthy and buzzing and to grow a wider range of biking activities for all ages and abilities throughout the week. 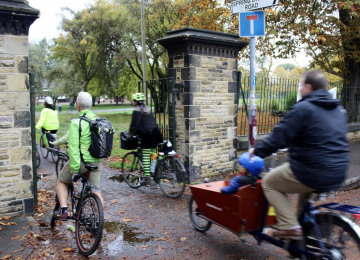 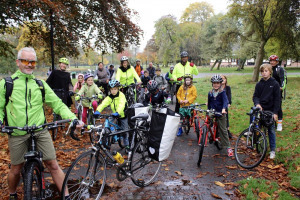 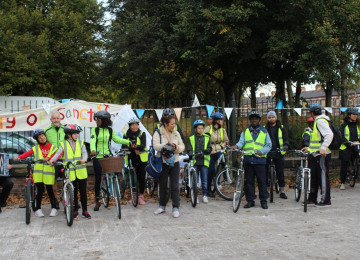 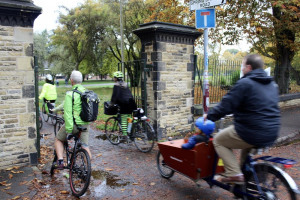 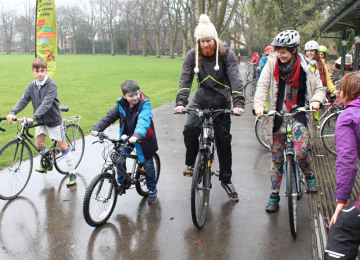 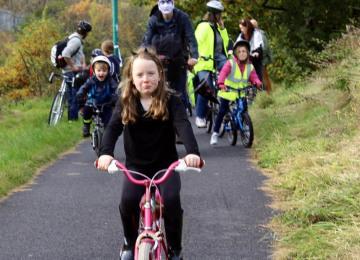 The Bike Hive in Alexandra Park, Manchester provides a buzzing and thriving home to a growing number of community bike projects. 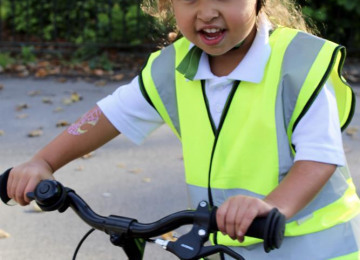 Anyone is welcome. 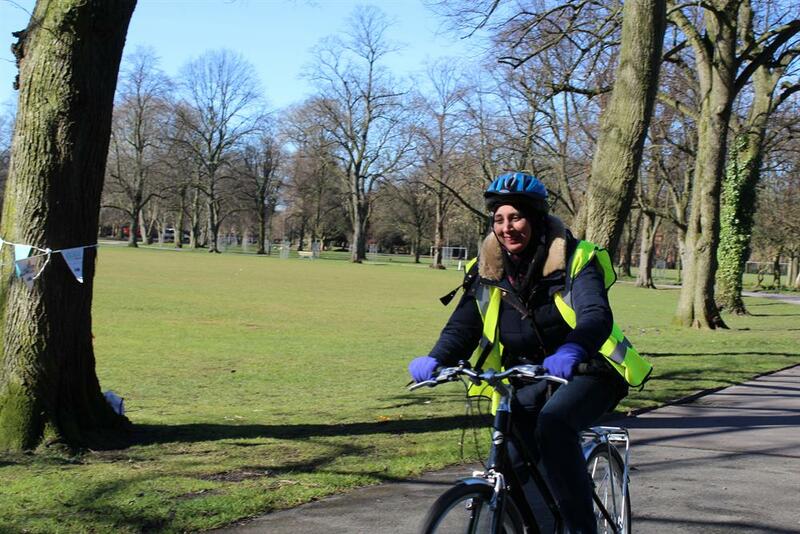 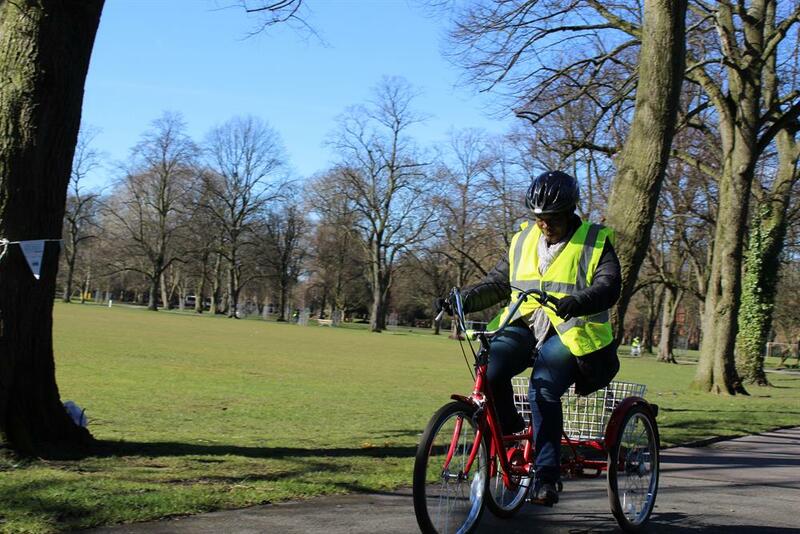 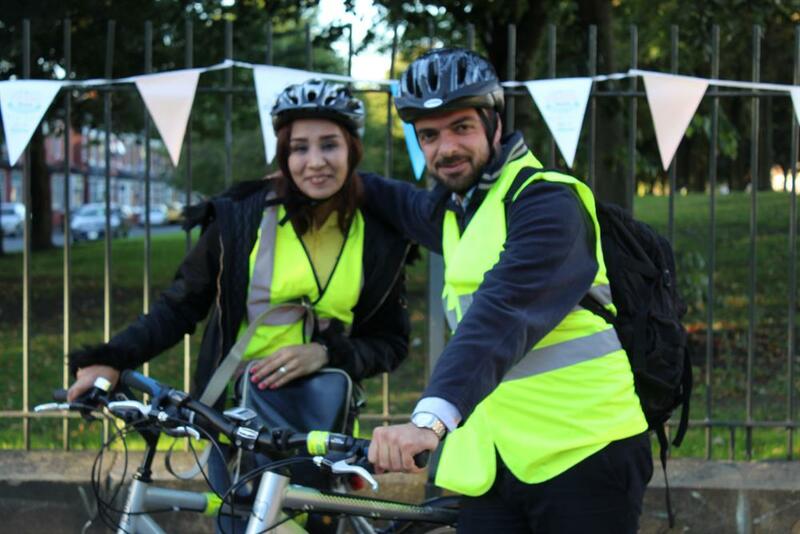 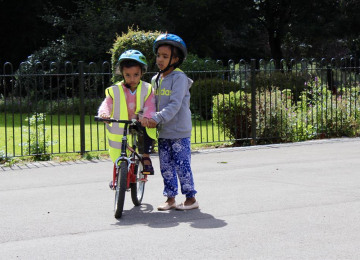 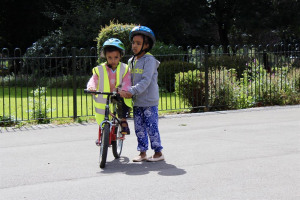 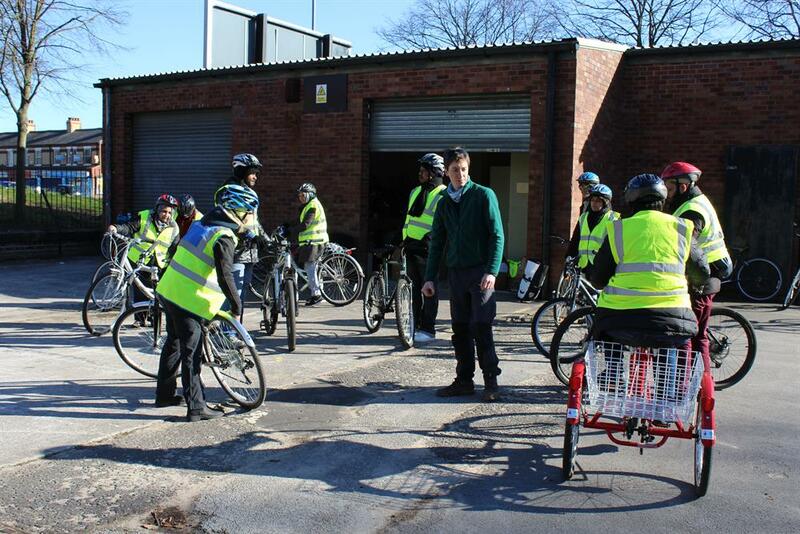 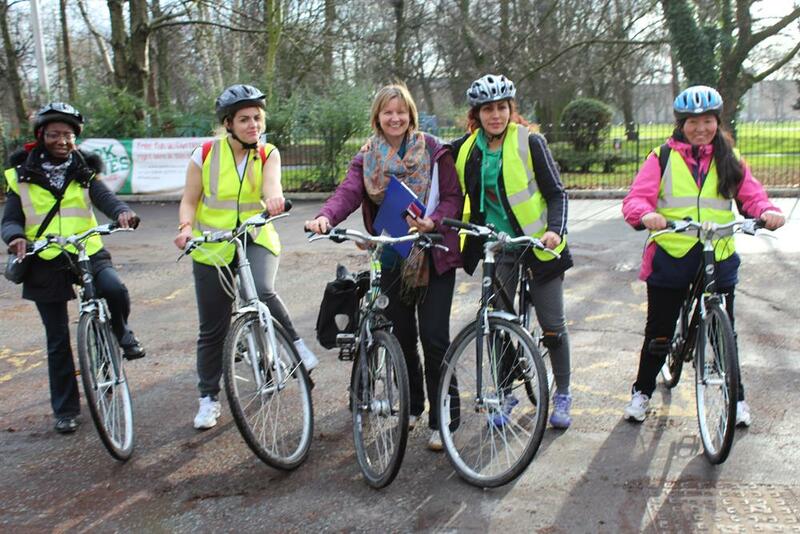 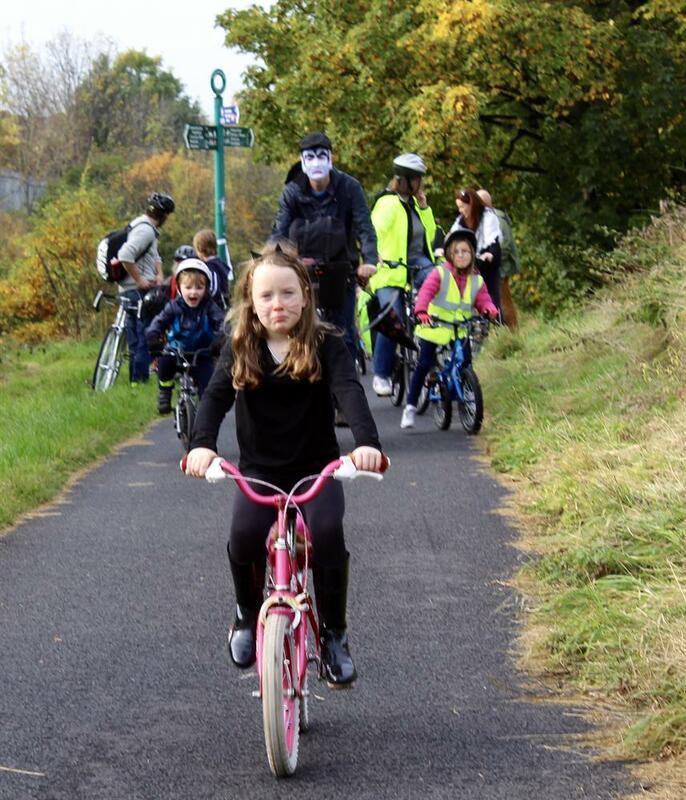 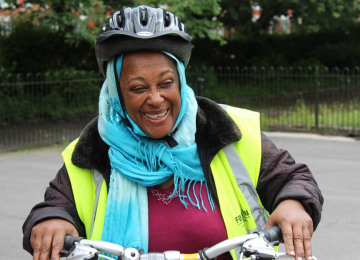 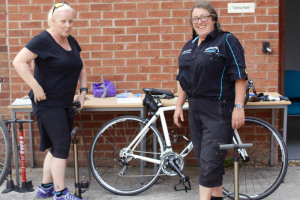 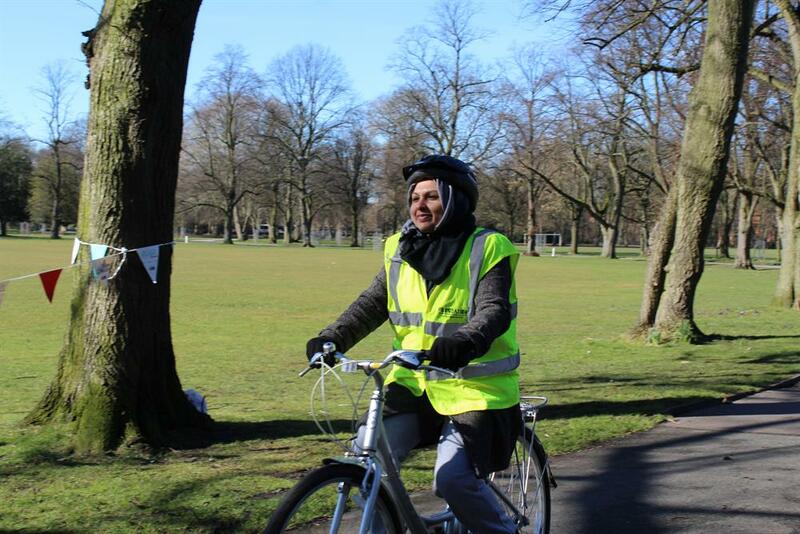 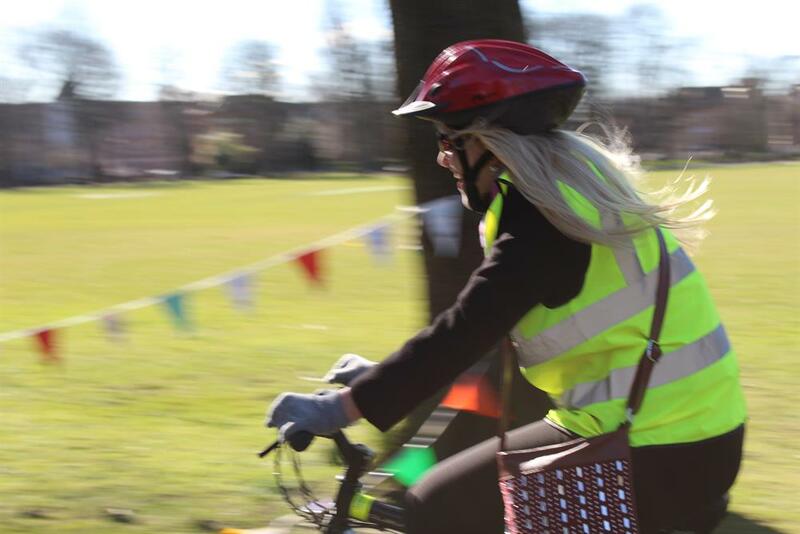 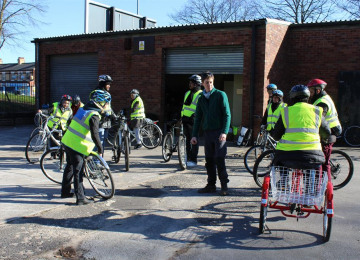 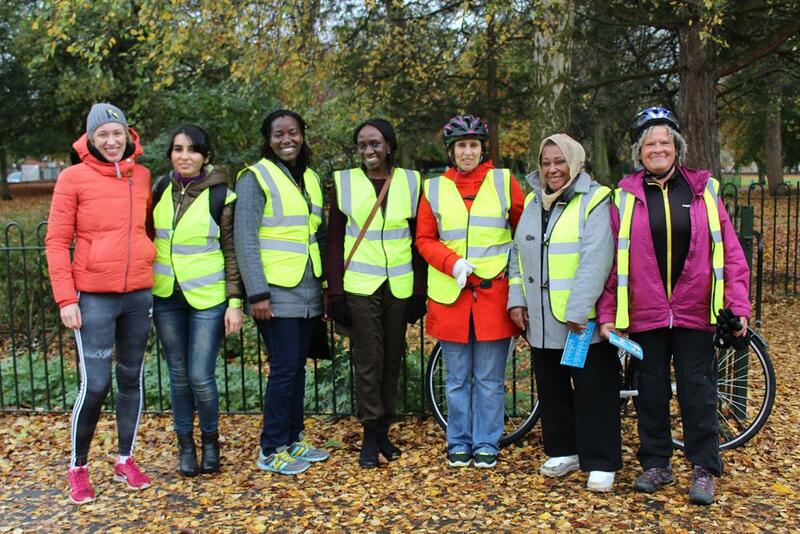 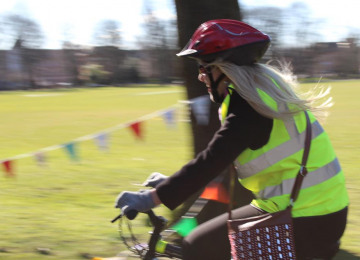 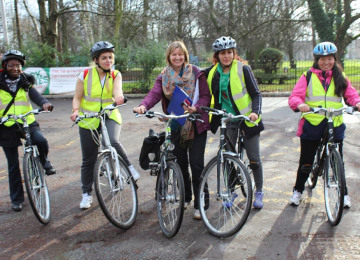 We run open public sessions helping people learn to ride a bike or fix a bike. 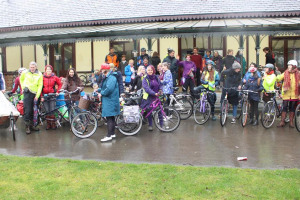 We host fun community cycling events. 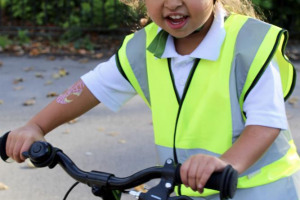 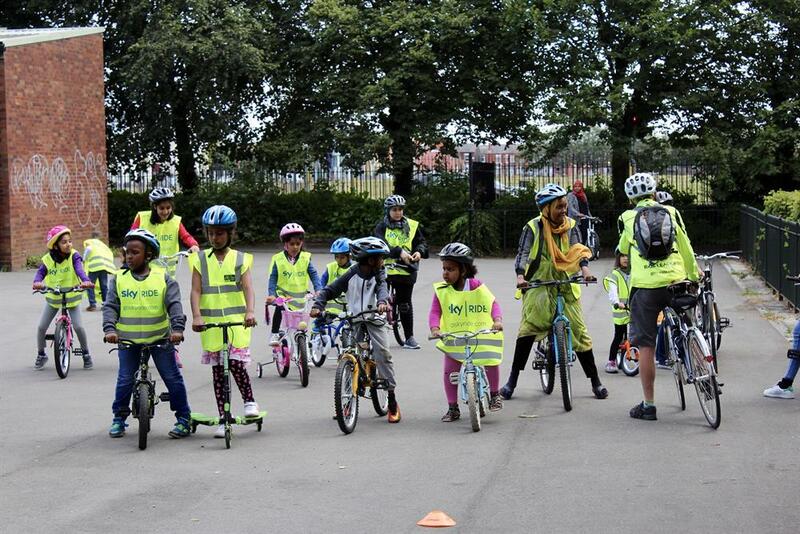 We lead kids' cycling sessions. 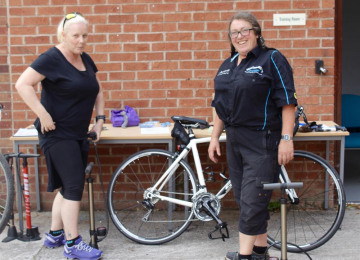 We lead Women Only repair workshops. 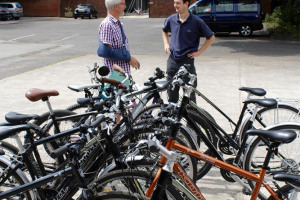 We provide access to affordable bikes to buy or rent. 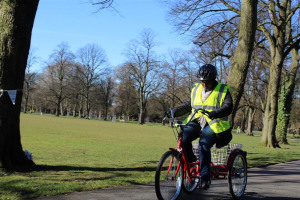 In March 2017 our fleet of 20 adult bikes was stolen. 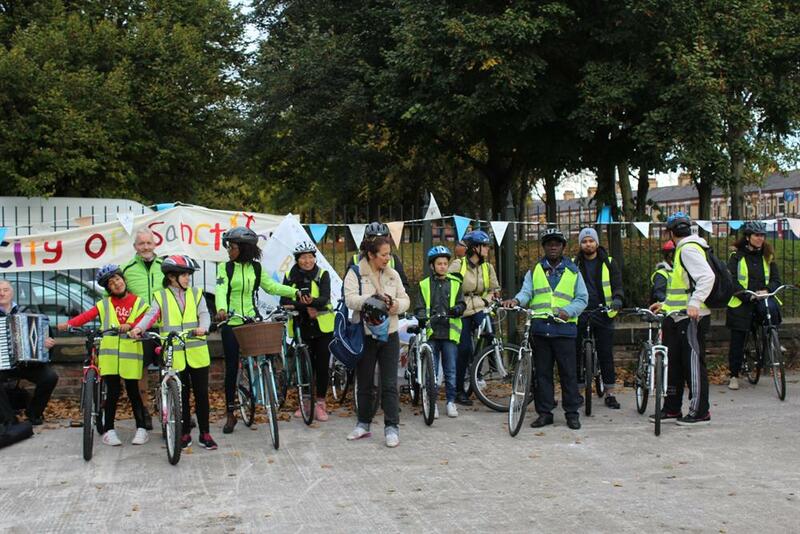 Given their location these bikes were not insured. 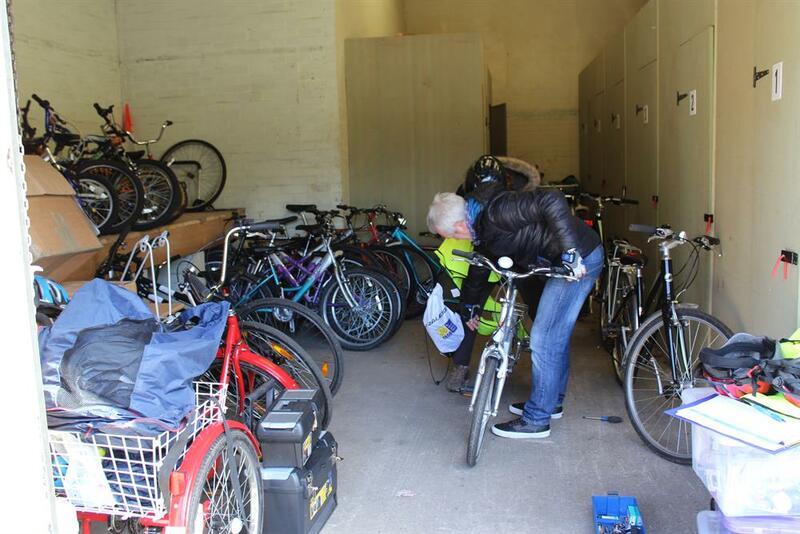 Through community donations and volunteer time we have managed to build up a fleet of 2nd hand bikes and run sessions. 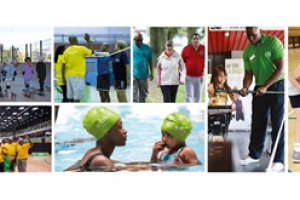 We have big ambitions to broaden our activities to cater for wider array of need. We need funds to help us realise our dream. 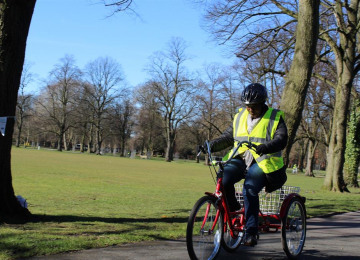 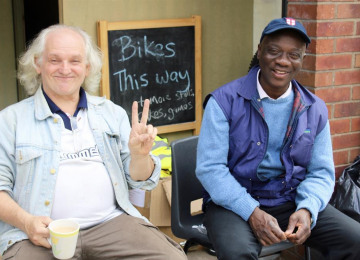 With your support we can increase breadth of bikes and adapted bikes , improve our work & storage space and security, purchase insurance and pay for a part-time development worker who can help us take the project forward sustainably and inclusively. 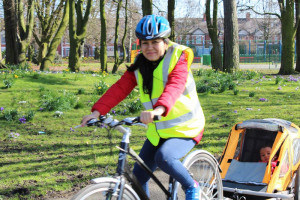 purchase bikes including tandem, trailer, cargo bike & adapted cycle. 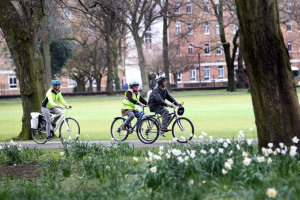 It boosts wellbeing of people, place and purse by supporting people young and old to get outside; to enjoy and care for our green spaces; to spend time together and connect; to be active citizens contributing in their community; to keep active physically; to learn new skills boosting confidence, independence and employability; to explore, take notice and be proud of our rich local heritage, culture, diversity; to take care of ourselves, each other and our world. 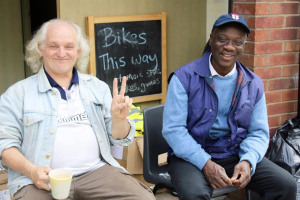 Invest in marketing materials, eg banners, flyers and updated website to attract more volunteers and users. 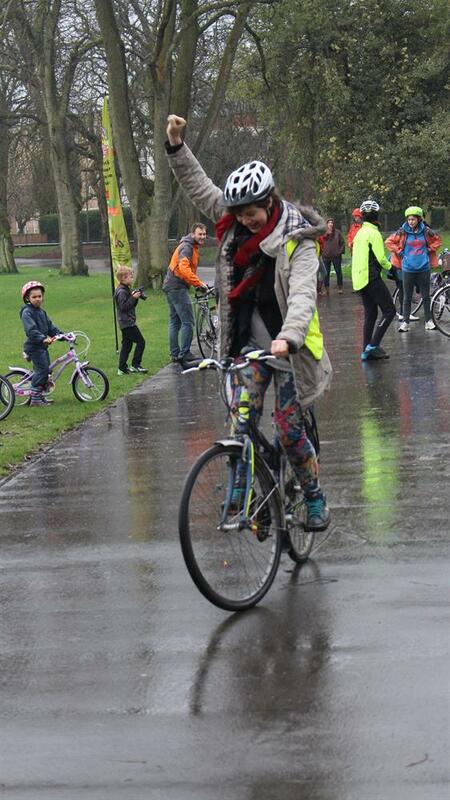 The joy of riding a bike and getting an old bike working again is infectious. 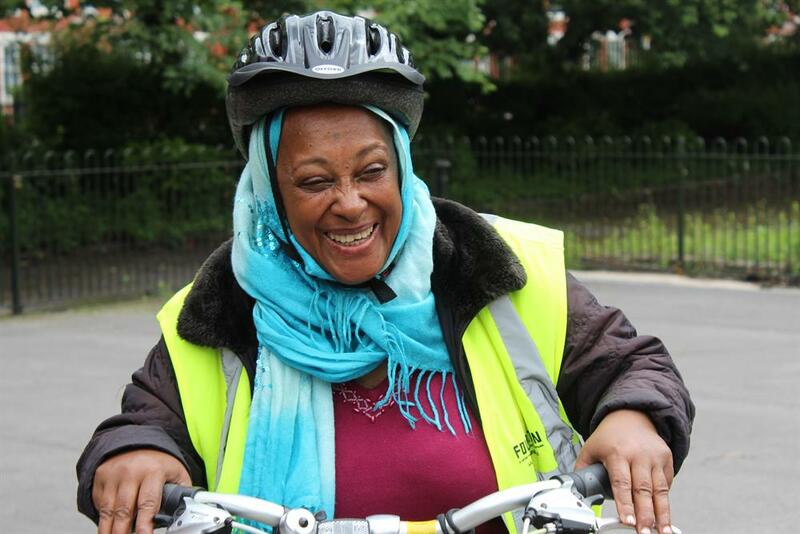 It is good for people's physical, mental, emotional, social and financial wellbeing. 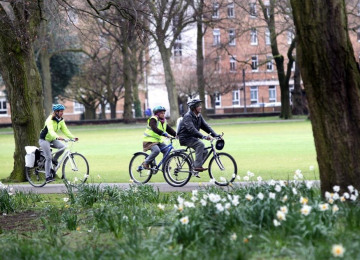 And it is good for our environment. 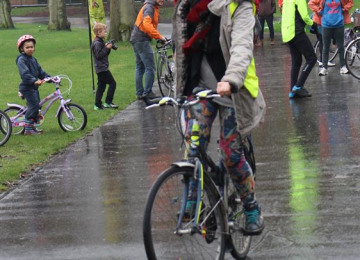 Lets spread the joy for happy, healthy people and place. 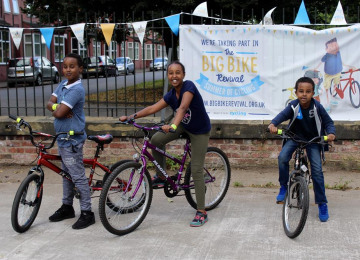 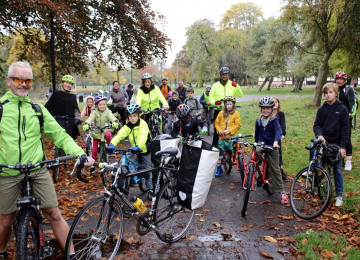 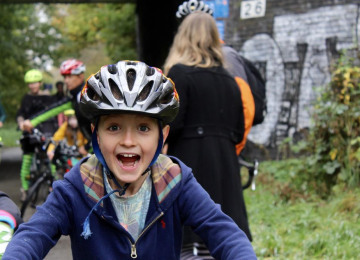 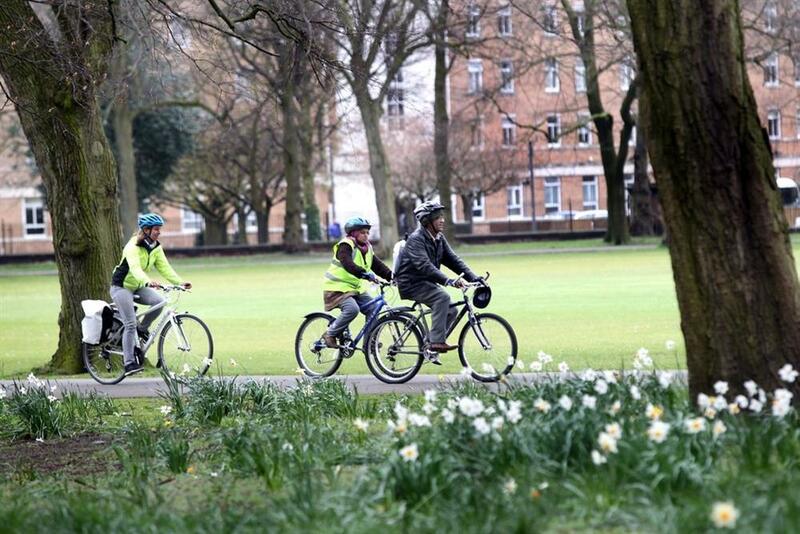 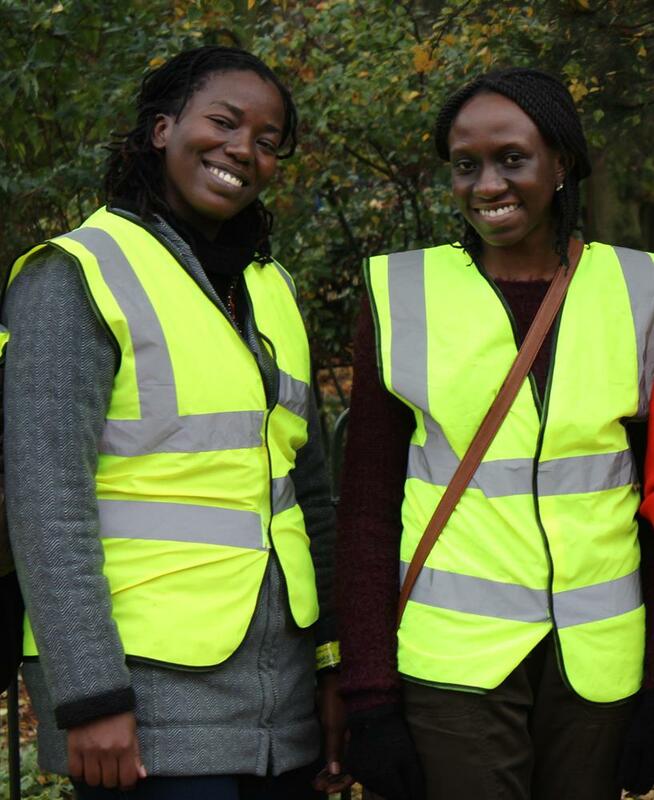 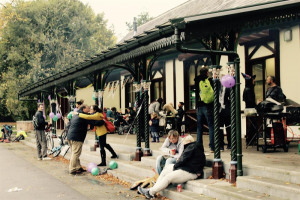 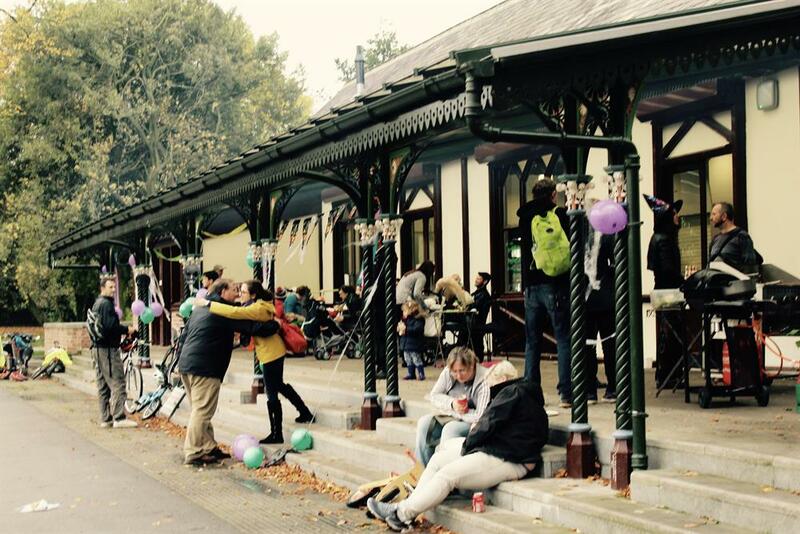 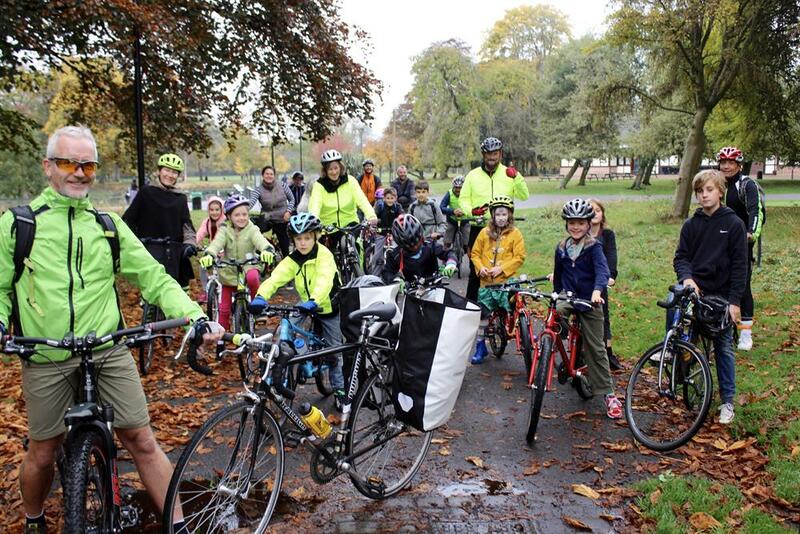 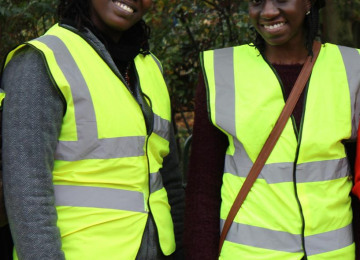 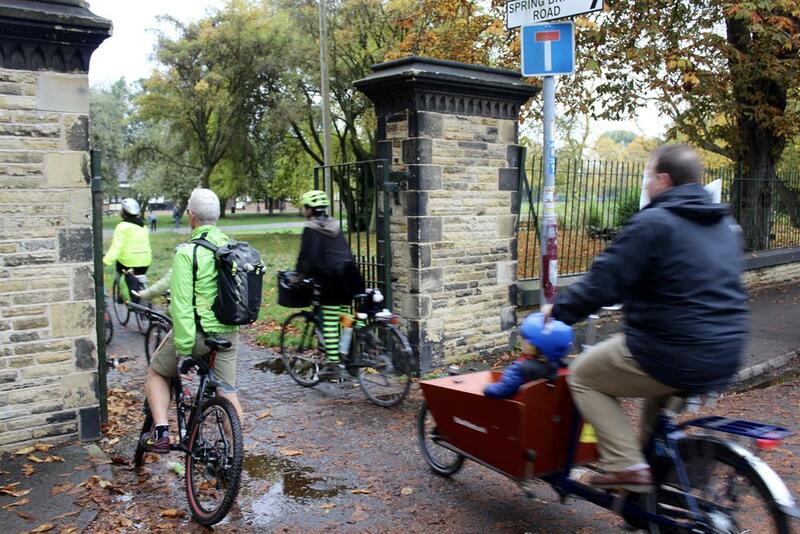 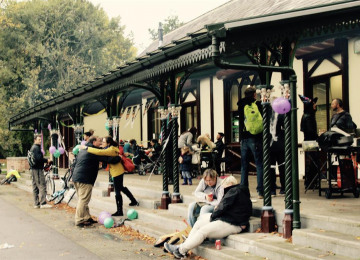 The Bike Hive in Alexandra Park provides a home to community bike projects and activity. 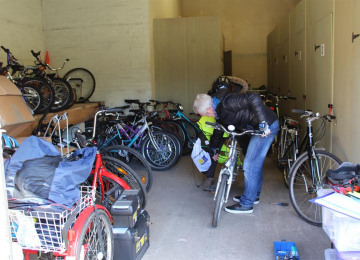 2nd hand bikes, particularly looking for small-medium adult sized step-throughs (no cross-bar). 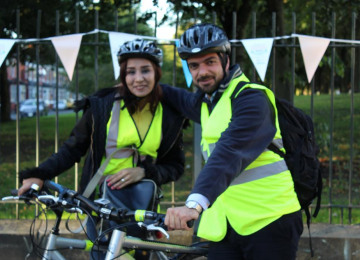 We'd love a tandem or two! 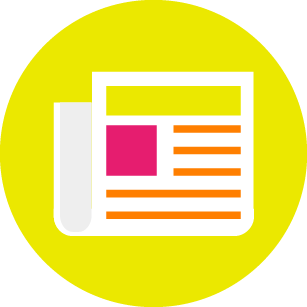 Data-entry - someone who is happy and able to keep our on-line data-base of members and volunteers updated. 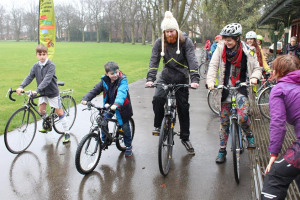 The Bike Hive in Alexandra Park, Manchester provides a buzzing and thriving home to a growing number of community bike projects. 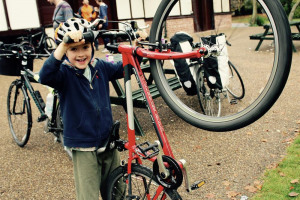 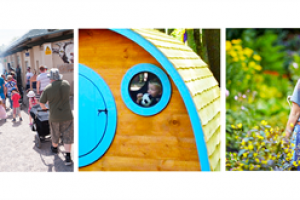 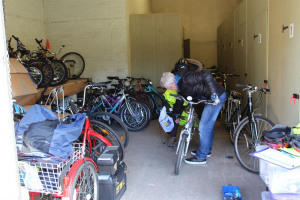 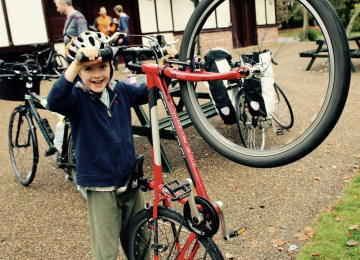 The Hive houses a range of tools, bikes and equipment to include bikes for both adults and children, complete with children's seats, trailers and a trike so we can cater for everyone's needs. 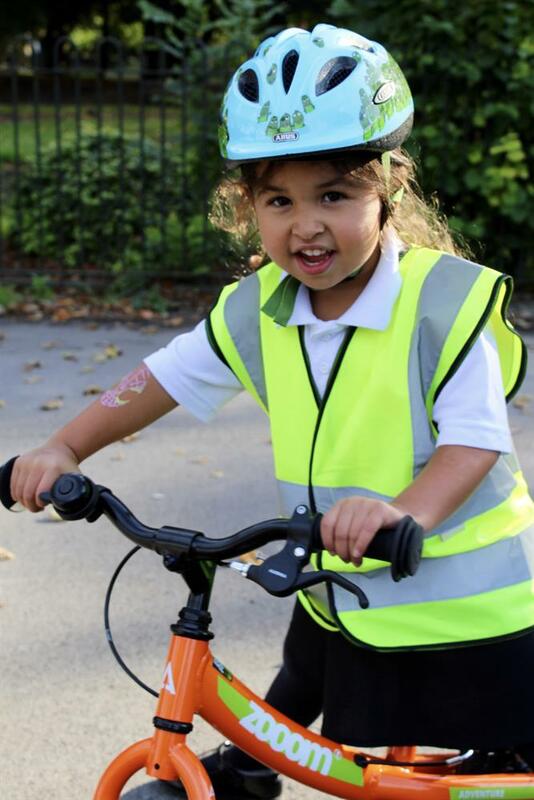 Helmets, maps, information booklets, and high viz are also available. 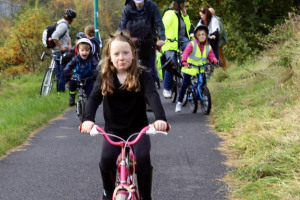 Over the last two years the group has offered a growing array of sessions catering for people of all ages including specific kids' sessions, adult learn to ride, family social rides and maintenance workshops. 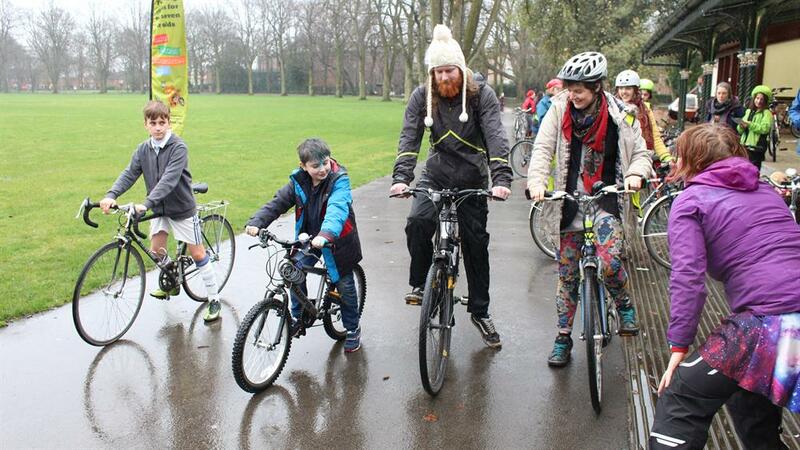 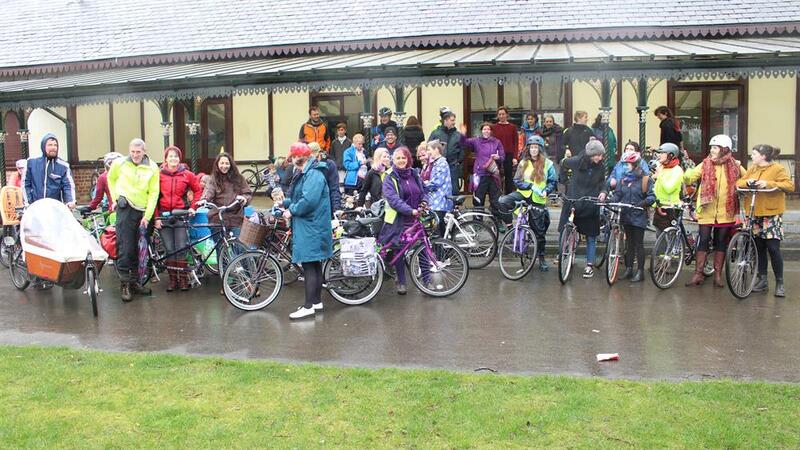 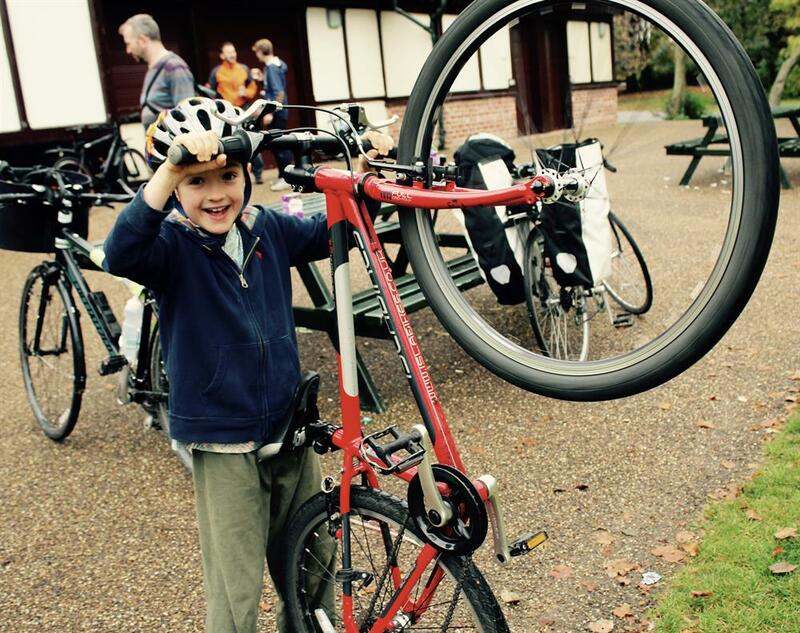 We've run lots of events in partnership with other local community projects and cycling organisations. 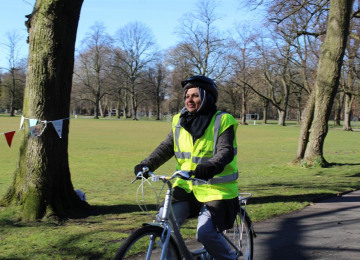 By working with local community groups, to include Manchester City of Sanctuary, Community on Solid Ground, local ESOL classes, primary schools and most recently a Bangledashi women's group we've been able to provide more targetted support for pockets of the community. 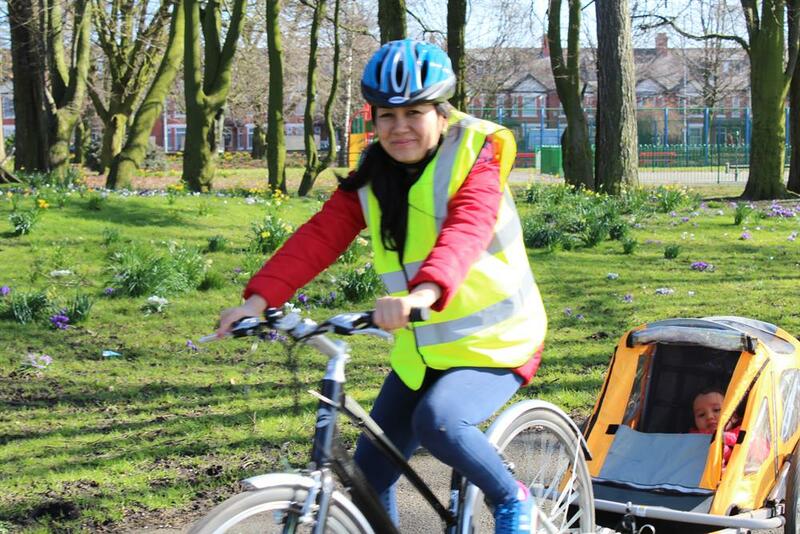 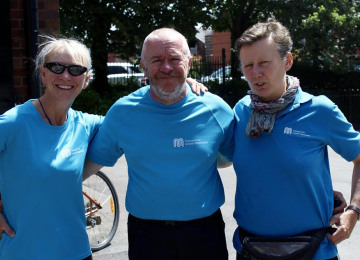 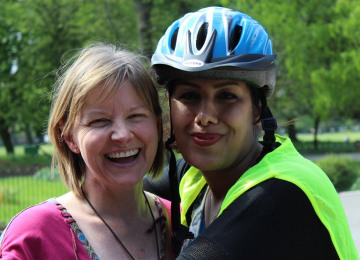 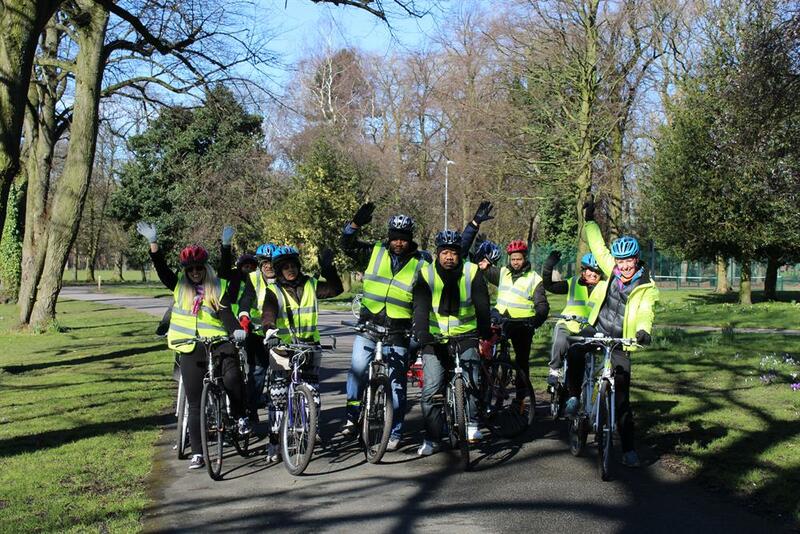 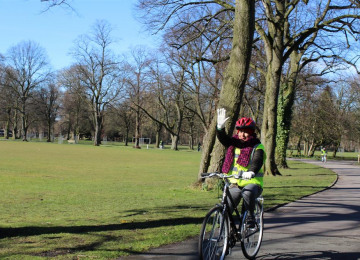 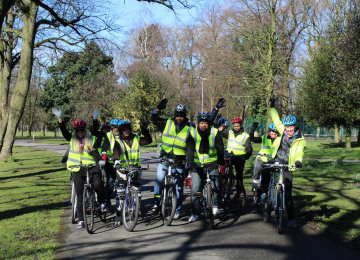 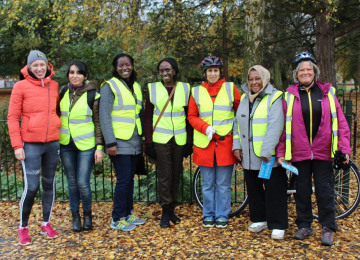 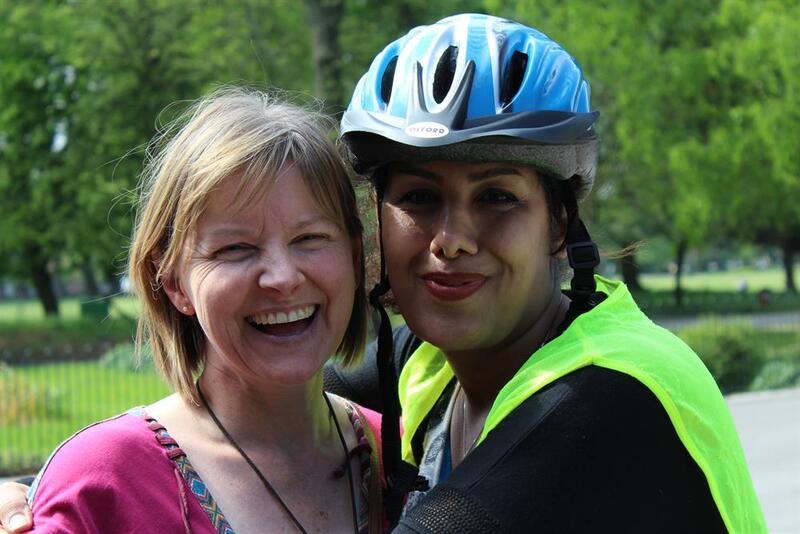 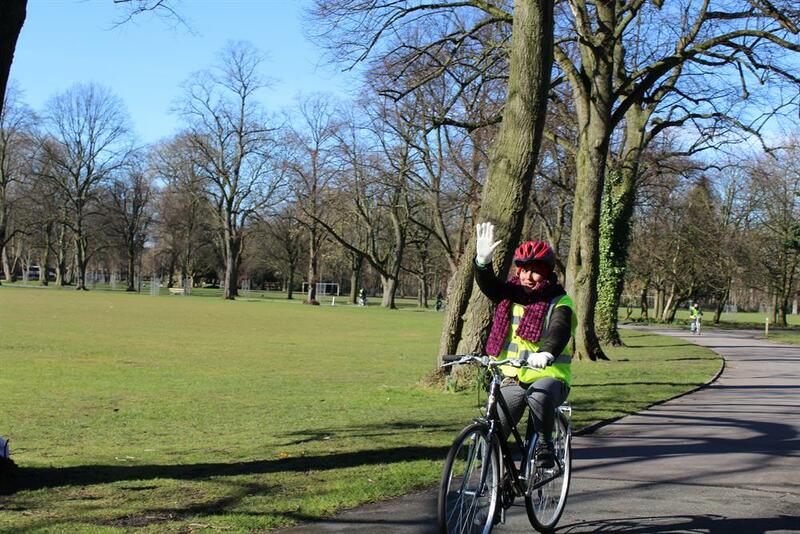 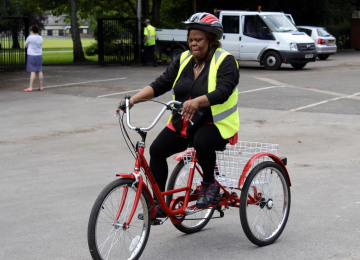 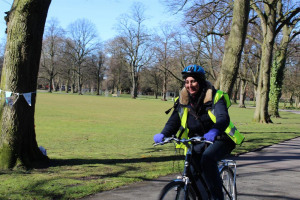 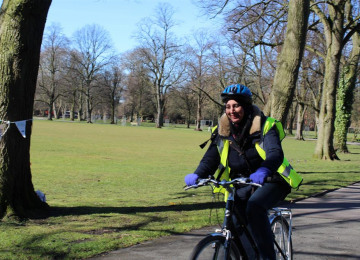 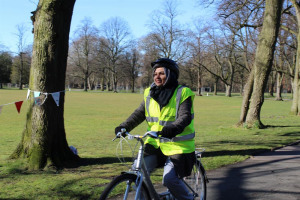 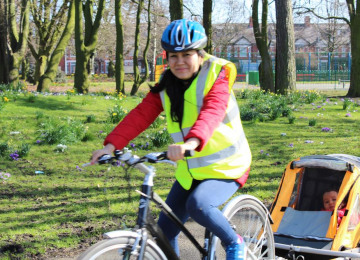 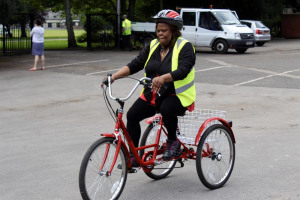 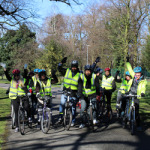 This includes running a #RideFree project supporting asylum seekers and refugees from around Greater Manchester to learn to ride and to own a bike of their own. 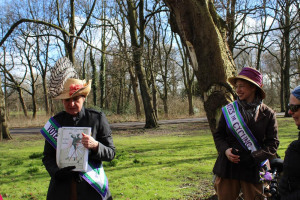 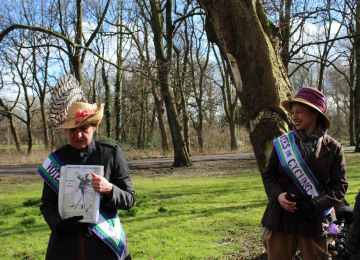 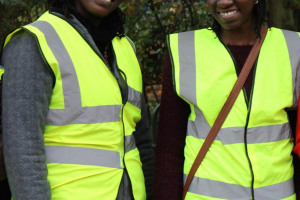 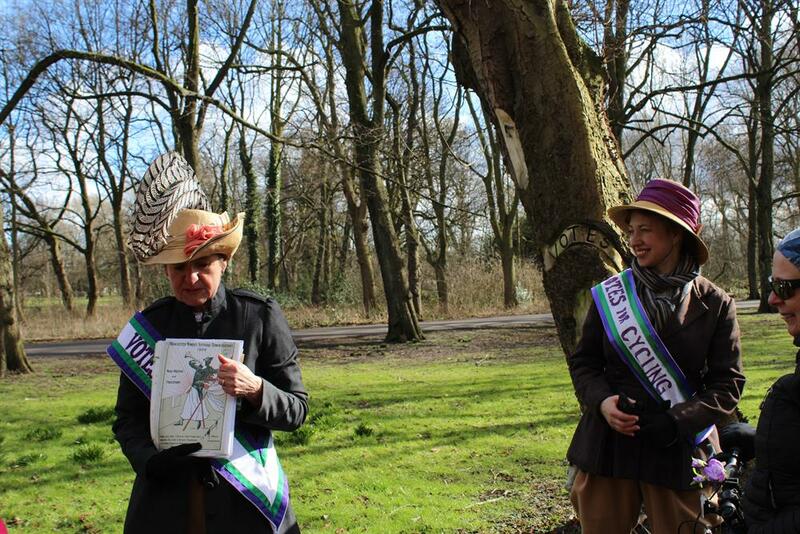 Alexandra Park sits on the border of Moss Side, Whalley Range and Fallowfield and provides a wonderful public space for diverse communities from all the local areas to meet. Situated in an area of rich cultural heritage but high deprivation, the Bike Hive is a welcoming space for people to connect, learn, give, take notice and be active supporting the wellbeing of both people and place and nurturing community cohesion and participation. 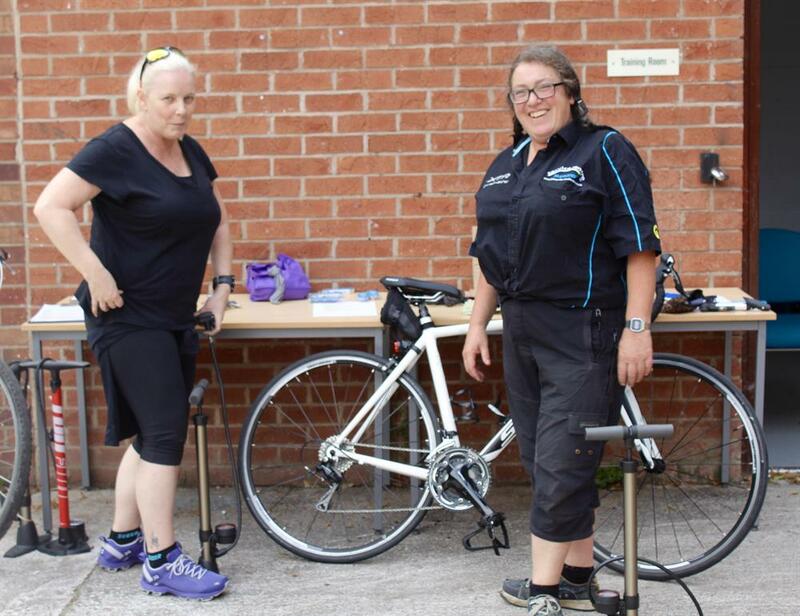 We rely entirely on bike donations, small grants and volunteer time and skills and have been dependent upon a volunteer co-ordinator. 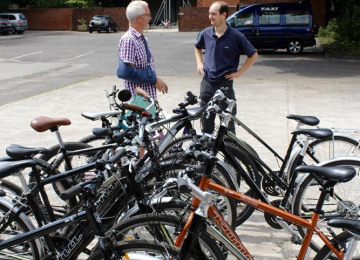 In March we were sadly broken into and our entire fleet of 20 adult bikes was taken. 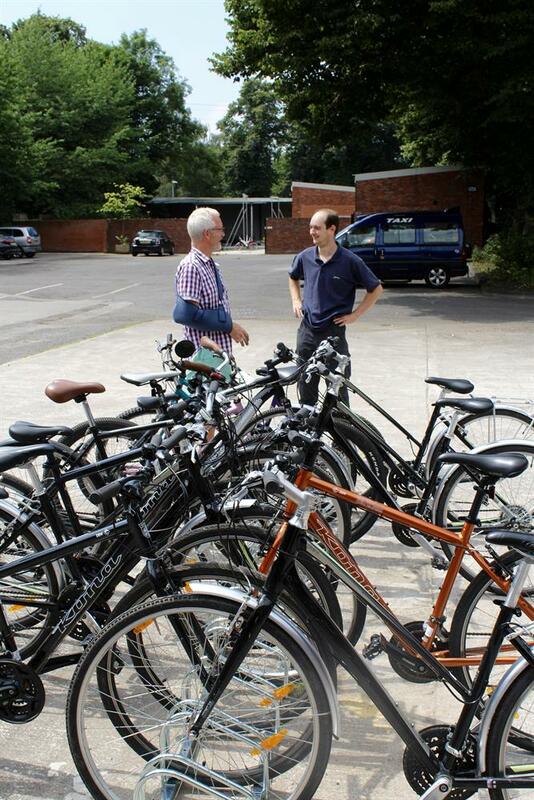 Given the low level of security in place these bikes were not insured. 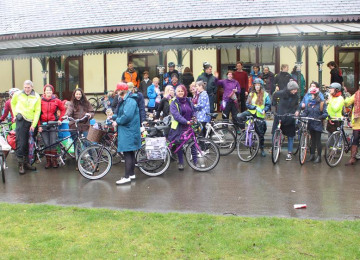 Without the bikes the bulk of our activites cannot take place. 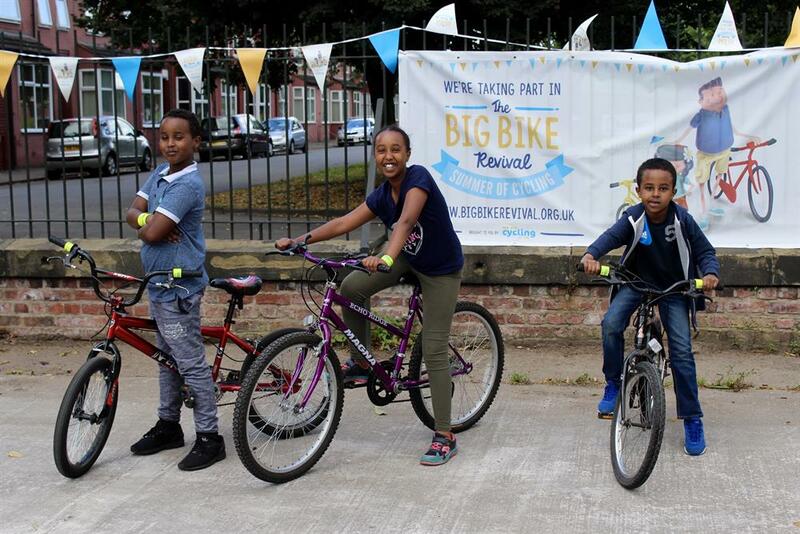 We have big ambitions but without funds we are unable to meet them. 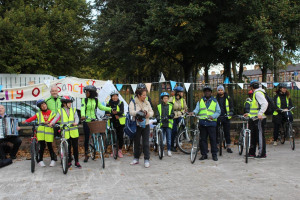 With your support we can replace the stolen bikes, increase bredth of resources we have on offer, improve security, cover insurance costs and pay for part time co-ordinator who can help take the project forward in a sustainable way. 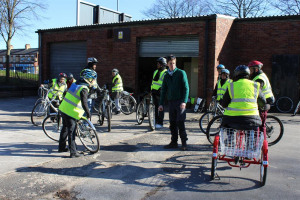 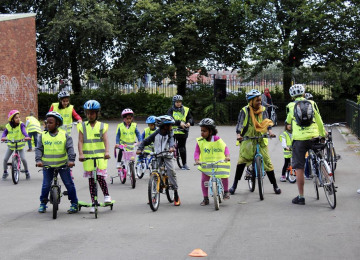 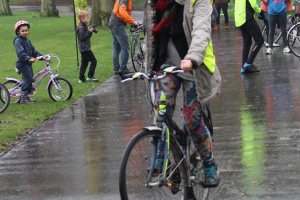 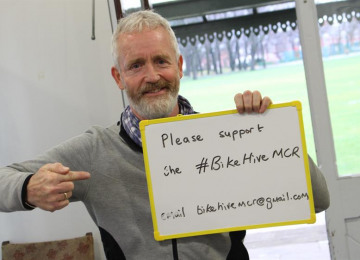 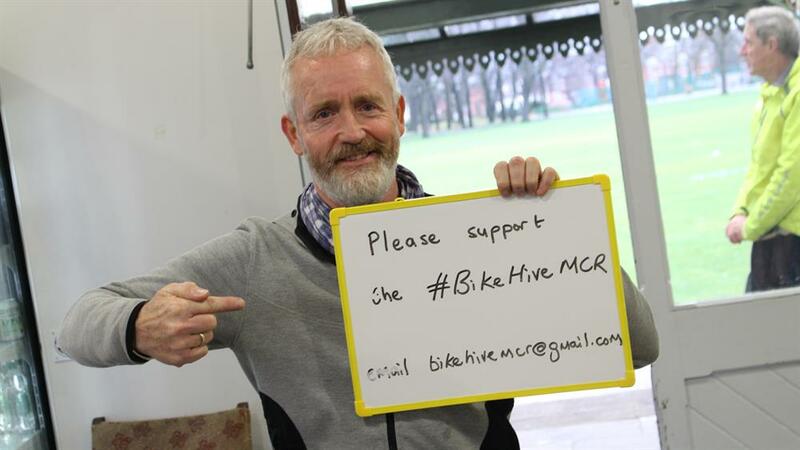 Project Delivery Manager: Bike Hive MCR The Project Delivery Manager takes legal responsibility for receiving and spending the funds raised and ensuring the project is delivered.